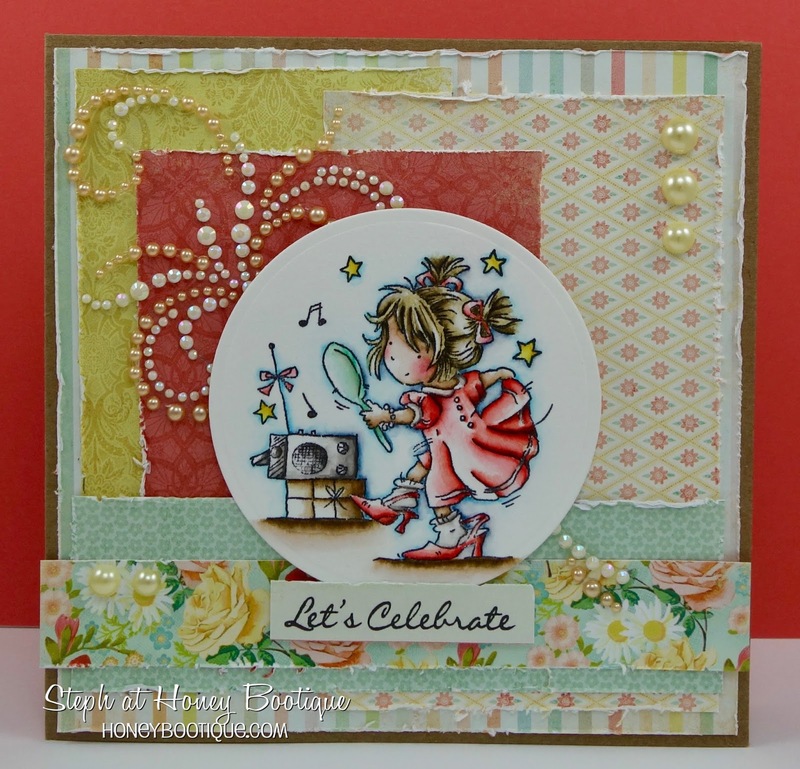 Honey Bootique: Lili Of The Valley- Dancing Queen! Lili Of The Valley- Dancing Queen! 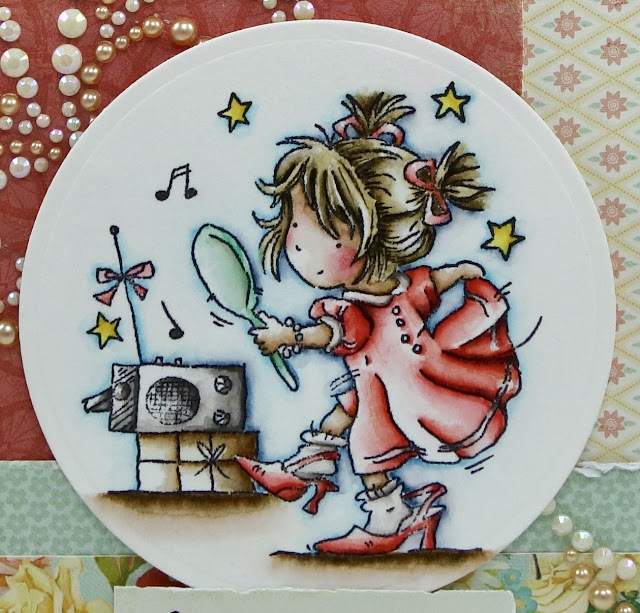 I coloured with Distress Markers and cut out using a circle nestie. Papers are by MME and I distresser them using a paper distressed. I assembled in a sketch and then adhered the layers making sure to adhere the pearl design behind the actual image. Finally, added a sentiment and a few individual pearls. So love these LOTV images- such a huge shame they don't seem to be releasing designs in this style any more.